The legal fight over the “Eat More Kale” trademark between Muller-Moore and Atlanta-based Chick-fil-A Inc. has been going on for several years. Muller-Moore has been selling T-shirts and other items with the phrase for more than a decade. A local vegetable farmer asked him to create three shirts with the phrase, and Muller-Moore continued with the sales as a tribute to local farming. He hadn't even heard of Chick-fil-A until the company contacted him. Chick-fil-A tried to stop him after first finding out about the sales in 2006 but then gave up the fight. That is, until Muller-Moore filed for trademark protection in early 2011. In October 2011 Chick-fil-A sent a letter to Muller-Moore stating that he had to stop using the phrase because it may be confused with the company’s. They also told him to stop using his website, eatmorekale.com. Muller-Moore now has six months to respond to Monday's ruling. "I feel like it’s sad and absurd that the process takes as long as it does," Muller-Moore says. "To me, it seems designed to favor corporations and just roll over mom-and-pops." “One of the key things is that there is a rejection based on an allegation of the likelihood of confusion,” says Chris Colvin, partner at intellectual property law firm Colvin Hudnell LLP. This means consumers are likely to be confused into thinking the products under the “Eat More Kale” banner are coming from the same source as Chick-fil-A’s trademark. But Muller-Moore claimed in his trademark application that his phrase was meant to “invoke the message of buying and eating locally grown produce and living close to the earth and the farmer,” while Chick-fil-A meant to persuade people to eat chicken instead of beef. He says he feels like he's "in a fight with the trademark office" instead of Chick-fil-A because the office is not allowing him to register his slogan as a trademark. Colvin says another important issue is whether the mark is able to be registered. “It typically comes down to a spectrum of distinctiveness,” he says. Words such as Kodak, which are made up, are the most protected. The least protection goes to generic terms. Hence the patent office’s decision that Muller-Moore’s phrase is similar. The trademark registration allows for validity, ownership and exclusivity to use in commerce. But the patent office does not deal with legal proceedings; the legal implications are left to the courts. 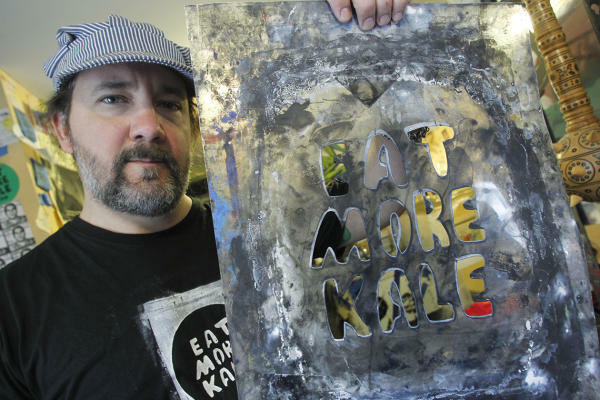 Although Muller-Moore cannot register his “Eat More Kale” phrase as a trademark, he can continue using it commercially as long as there are no other due diligence issues or infringement rulings by a federal court. And that is exactly what he said he plans to do, "unless Chick-fil-A pursues its cease-and-desist order in civil court." But if he continues to use the phrase commercially, Chick-fil-A could try to sue in federal court for infringement. Some courts will rule based on the patent office’s final decision, but often, the bar to prove infringement is much higher. The prosecution would need to prove the defendant was using “the trademark in bad faith and clearly trying to ride the coattails” of the original trademark, which probably wasn’t the case for Muller-Moore, Jennings says. The legal battle would also cost a lot, and many parties often settle outside of the courts. Colvin says that, in this case, it was a good idea that Muller-Moore obtained counsel when applying for a trademark because the issues can become very complicated. If this battle continues, legal counsel will help Muller-Moore proceed to obtain the best outcome. In 2011 Vermont’s Gov. Peter Shumlin also gave support to Muller-Moore, stating that he saw this matter as “corporate bullying” by Chick-fil-A. Shumlin even formed “Team Kale” as a fund-raiser to help with the legal expenses. Once the preliminary ruling came, Muller-Moore says Gov. Shumlin also offered the State House for a press conference this week. Muller-Moore declined because the patent office has yet to reach a final ruling. Chick-fil-A has not responded to a request for comment regarding the matter. 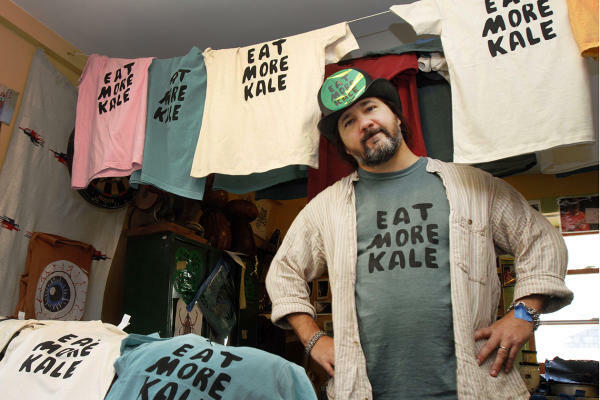 In another matter, Muller-Moore said he is trying to get eBay (EBAY) to shut down another seller on its site who sells "Eat More Kale" T-shirts with the exact same logo. He has gotten the response that it's not possible for him to do this because he doesn't have a trademark.